Award-winning Folding Castle! 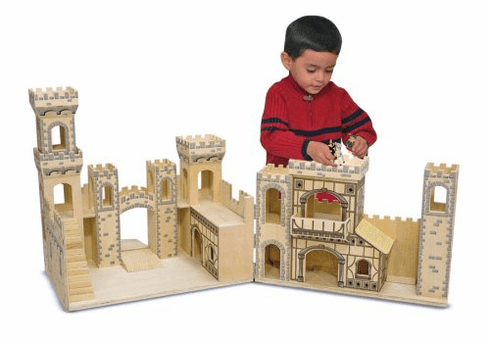 Guide your child in to an enchanting world of medieval fantasy with this captivating Folding Medieval Castle from Melissa and Doug. Incredibly detailed, yet sturdy enough to withstand the most vigorous imaginative play, the wood Castle opens up wide to reveal a spacious courtyard, turrets, dungeon, staircases and more!